Think of libraries this week! If you haven’t been to a library in person or visited one online lately, you have good reason to do it soon. National Library Week is April 13-19, the perfect opportunity for you to step inside your local library and check out a book or browse its website and download an e-book or some music. With Library Week here, it’s worth looking at some classic photos related to our very own Washington State Library, courtesy of the State Archives. The top photo features Gov. Albert Rosellini speaking at the opening ceremony for the State Library (in what is now the Joel Pritchard Building) on the Capitol Campus on Jan. 29, 1959. 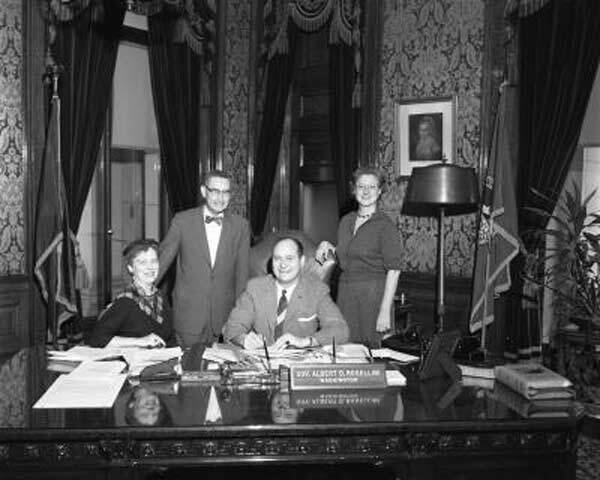 The bottom picture shows Rosellini in his office proclaiming Library Week on March 27, 1959. The photos come from the State Governors’ Negative Collection, 1949-1975. Gov. 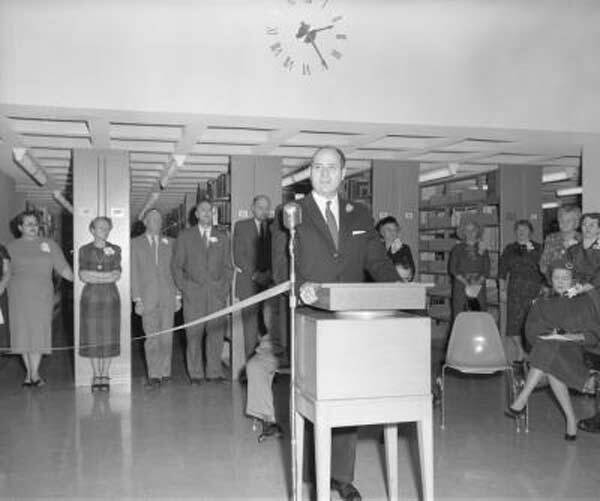 Rosellini proclaiming Library Week in 1959.